Living in the modern world means that you have very little time to spare. The to-do list seems to grow bigger and bigger every day until finally, you can’t ignore it anymore. Is one of the things on that list getting an auto insurance quote? Well, obtaining an online auto insurance quote in California is easier than you think. There are independent insurance agencies out there who understand your schedule can be overwhelming at times, and make it their priority to minimize the hassles of securing auto insurance. Getting an auto insurance quote online is quick, easy, and allows you to move on with your day. It is not uncommon to feel like you are in the dark regarding the in’s and out’s of California auto insurance. It is not your job to know the details of every policy or understand all the fine print. Lack of knowledge, may, however, lead to you paying more for your premium than necessary. Basic knowledge can go a long way in obtaining an affordable online auto insurance quote that you understand. Did you know the type of car you drive can affect your monthly payments? Insurance companies collect data on things like engine malfunctions, accident rates, theft rates and more. The way you use your car can also play into the construction of your quote. Be honest with your agent as to whether you are driving for business or for leisure, and it could end up saving you money. The point is, you want coverage that will benefit you and cover you in the event of an accident or emergency but won’t cripple you financially. We all have financial commitments, and there are agencies out there who understand that. 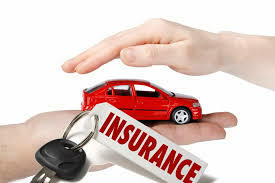 Getting that online auto insurance quote will allow you to fully understand your financial responsibilities and let you breathe easily, knowing you are covered at an affordable rate. You may think that getting insurance is not that big a problem and doing it yourself may save you some money. Calling, comparing, asking questions, understanding fine print; all of this is time-consuming and can sometimes make you, the customer, feel lost and confused. There are options available to you that don’t have to leave you feeling so frazzled. Contacting an independent insurance agency will optimize your experience and minimize the turmoil of dealing with multiple sources. Independent agencies pride themselves on working for one client and one client only: you. Shopping around has never been easier, because well, you don’t have to be the one to do it. Let your agency contact their carriers to find customized auto insurance quotes that work for you, and are easy to understand. Or simply go online yourself and get an instant quote. The key is trusting in your insurance agency, and most people find it much easier to trust a family owned, an independent agency that works for the benefit of each individual customer. Truth be told, sometimes it is harder to trust a large corporation. We sometimes feel like a number in the ticket line, while listening to the hold music, and pressing “1” or “0” or whichever number will get you to a live agent to speak to. What a refreshing change it is, to put your trust in an agency that understands people, family and your precious time. As an inde pendent, family-owned agency in California, Promax Insurance is so proud to be in operation for more than 50 years combined experience. The mission is to provide customized support for each and every one of their customers. Everyone is different, so your insurance should be as well. Understanding that most agencies only offer one brand of insurance, Promax is proud to be able to shop around many carriers and find the insurance that you can afford that will cover you accordingly. Now you can take your to-do list, draw a line through “get auto insurance” and enjoy the rest of your day!